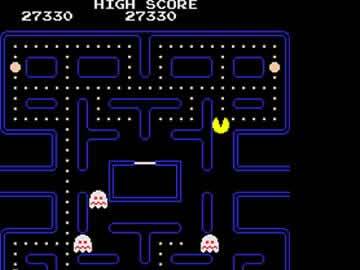 Pac Man Game - Download and Play Free Version! 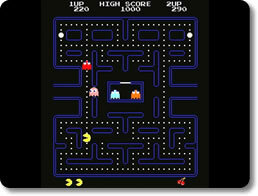 Free classic arcade Pac Man for your PC! After some internal discussion we decided to discontinue this game due to potential trademark violations by the game developer. Game remakes, as fun as they are, actually are not legal if they use trademarked names or game features found in the original game. Since this particular game closely resembles the original, we decided to be safe rather than sorry and discontinued it. 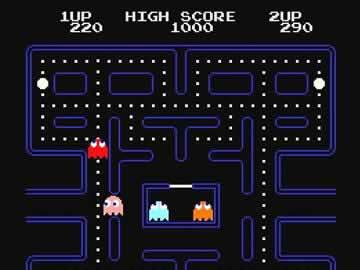 If you would like to play the original Pac Man game, Namco has a version out you can play free for a short period of time. Nearly exact replica of the original Pac Man arcade game with challenging game play and great music. Steer Pac Man with the arrow keys, avoid the ghosts, and chomp all the pellets. The game comes in .zip format so you will need to have Winzip installed on your computer to open the file. Click on the .exe file in the zipped download and you play be playing in no time! If you would like to download the game directly from JRok (the game developer), you can do that here. Looking for the real Pac Man? We now have the original Pac Man arcade game from Namco!